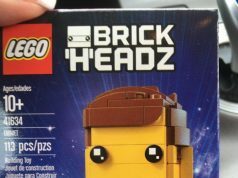 It looks like we have our first look at the upcoming LEGO BrickHeadz sets that will be coming out in February for LEGO VIP members and to the general public in March. The images are from LEGO’s servers and show various franchises including The LEGO Batman Movie, Captain America: Civil War, and Avengers: Age of Ultron. There is also Belle (41595) and the Beast (41596) from Beauty and the Beast but no word yet on if it’s from the animated film or the upcoming live-action film. 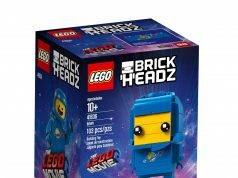 In addition, there are two sets 41593 & 41594 which are still a secret. 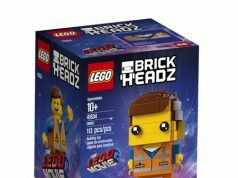 As we know by now, the LEGO BrickHeadz sets were announced at were announced at San Diego Comic Con last year and were exclusives during the convention. We can see the upcoming Captain America and Iron Man sets are different from the SDCC ones.